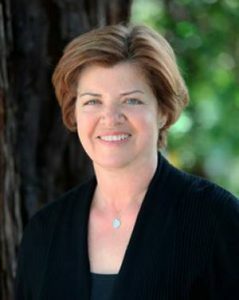 I am a licensed Marriage and Family Therapist in Marin County, (San Francisco Bay Area) California. I bring my own personal and professional expertise in addition to my training in the 5-step recovery model developed by Dr. Karyl McBride. I work with adult children or partners of narcissists. Dr. McBride's training has been extremely helpful in working with many of my client's who feel they will never be good enough. Her model in combination with my training in EMDR (Eye Movement Desensitization Reprocessing) provides my clients with the ability to heal from trauma, set appropriate boundaries, and heal their guilt and shame. I am a licensed Marriage and Family Therapist, and a Certified Cognitive Behavioral Specialist. My work is focused on finding solutions by collaborating with my clients in an interactive manner. My specialty areas are treating trauma, utilizing EMDR (Eye Movement Desensitization Reprocessing), treating grief and loss, anxiety, depression and relationship issues. I also specialize in helping individuals who are experiencing chronic or newly diagnosed health challenges, such as cancer, strokes, heart attacks, auto-immune diseases, dementia or traumatic brain injury. I am adding a specialty area in supporting individuals who are dealing with challenges due to having had a narcissistic parent or partner. My style is warm, nurturing and practical. I create a safe and supportive environment that enables my clients to work on dealing with their emotional challenges. I give my clients homework to do between sessions. I offer an initial complimentary 30 minute phone session. For clients who have PPO insurance or a flexible spending account, I can provide a statement for insurance reimbursement. I provide both short and long term therapy to individuals and couples.